In a world where knowledge is readily available on every Internet-connected device, what you know matters far less than what you can do with what you know. As Thomas L. Friedman highlighted in his recent Op-Ed column for The New York Times, the high-wage, middle-skill jobs that have sustained multiple generations and built healthy economies are being replaced by high-wage, high-skill jobs that demand more from their employees. A little imagination, then, goes a long way. Friedman interviews Harvard education specialist Tony Wagner on the subject. The goal of education today, says Wagner, who describes himself as a “translator” between the education world and the business world, should not be to make every child “college ready” but “innovation ready” – ready to add value to whatever they do. “Today,” Wagner argues, “the capacity to innovate ” – the ability to solve problems creatively or bring new possibilities to life – and skills like critical thinking, communication and collaboration are far more important than academic knowledge. In essence, students and young professionals today will have to “invent” their future jobs. Not everyone will create brilliant, “disruptive” products – products that transform a market as Steve Jobs and Bill Gates have done. But many young people, given the right encouragement, can bring something extra to whatever they do – that spark of imagination and curiosity – which can lead to the creation of better products, services, and ideas. We have come to accept that creativity should not only be associated with fine artists and performers, but with doctors, engineers, historians, technicians, and anyone else whose job requires – or even allows – them to think outside the box. But wouldn’t you call doctors and engineers innovative, not creative? What is the difference? True, creativity and innovation are often conflated, and rightfully so – each contains elements of the other. The consensus appears to be that, while creativity may never manifest itself in a measurable way, innovation always leads to a quantifiable end product or result. “The main difference between creativity and innovation is the focus. Creativity is about unleashing the potential of the mind to conceive new ideas. Those concepts could manifest themselves in any number of ways, but most often, they become something we can see, hear, smell, touch, or taste. However, creative ideas can also be thought experiments within one person’s mind. Creativity is subjective, making it hard to measure, as our creative friends assert. Innovation, on the other hand, is completely measurable. Innovation is about introducing change into relatively stable systems. It’s also concerned with the work required to make an idea viable. By identifying an unrecognized and unmet need, an organization can use innovation to apply its creative resources to design an appropriate solution and reap a return on its investment. By this definition, we could conclude that innovation requires creativity to be effective, and creativity requires innovation to be effected. Last fall, Microsoft selected 99 schools worldwide to be featured as part of its Innovative Schools program. The schools were chosen from 51 countries as having strong school leadership and an established a record of innovation and successful change implementation. They have also demonstrated student success and are great showcases for how one-to-one computing, rethinking curriculum design, bringing innovation to scale for a district, and creating a climate for technological advancement through professional development can improve learning environments to make a real impact on transforming education. The top schools include the Cornwallis School in the UK, Eunice Girls’ School in South Africa, Dallas Brooks Primary School in Australia, Trident High School and Botany Downs Secondary College in New Zealand, Taroona High School in Australia, Baguio City National High School in the Philippines, St. Hilda’s Primary School in Singapore, the Olympia Schools in Vietnam, Calderglen High School in Scotland, Viktor Rydberg School in Sweden, and NAVE Mentor School in Brazil. The top U.S. schools on the list included Lake View High School in Chicago, Great Falls Elementary School in South Carolina, and Loudoun Public Schools in Ashburn, Virginia. The Model Technology Schools Project, created in 2009 to document and spread effective practices that are already in place within the New York City Department of Education school system, found the following U.S. schools to be most innovative with technology use: Brooklyn Tech High School, East-West School of International Studies, the Goddard School, IS 318 Eugenio Maria de Hostos, MS 339 “Tech Tigers,” NYCiSchool, the Port Morris School, and the Verrazano School. The Green School in Bali, Luminar in Brazil, Escola da Ponte in Portugal, Vittra in Sweden, and Hartsholme Academy in England have all been named important, innovation-minded schools. Urge students to imagine the skills – not the job title – they want. Because today’s job landscape is changing so rapidly, it no longer makes sense to ask student what they want to be but rather what skills they want to have. By the time they are career-ready, they should have a wide enough variety of tools to succeed on multiple career paths. Promote creativity. Innovation requires creativity to be effective, and creativity requires innovation to be effected. Build intrinsic motivation. Wagner cites play, passion, and purpose as the three most powerful ingredients of intrinsic motivation. The play is discovery-based learning that leads young people to find and pursue a passion, which evolves, over time, into a deeper sense of purpose. Help students see differences, not similarities. In the words of Youngme Moon, “Where a novice sees similarities, a connoisseur sees differences.” It’s your job to teach your students the value of the latter, and to lead by example. Explain that different does not necessarily mean opposite. Some students, especially younger ones, may assume that thinking differently means assuming the opposite stance in an argument or discussion. Consequently, they may end up being even less productive members of the class, countering every idea with its opposite just to stand out. Don’t confuse conformity with competition. If you see one student eyeing another’s science project, encourage that student to abandon his envy and continue on his own path – most likely he will be more successful that way. We all feel safer competing under the same conditions, but sometimes we sacrifice an original idea in the process. Expose students to the work of innovators. Demonstrate to your students that innovation has a place in all fields of study, from literature and science to math and art. Help students build digital portfolios to showcase their work. Since what gets tested is what gets taught, all students should have digital portfolios to showcase evidence of mastery of skills like critical thinking and communication, which they build up right through K-12 and postsecondary. Have students produce real products for a real audience. Require students to do a team-based service learning project in which they go out into the community, research a problem, and then figure out a way to solve it. Not only will students find this exercise empowering; it will help them realize how big of an impact they can make with a series of small changes. Create skills-based and discovery-based rewards. Try “merit badges” or extra credit points in things like entrepreneurship, writing, speaking, and team work. Step up the reward system by using rubrics with a blank column to acknowledge and reward innovation and creativity. Measure progress not by how much a student knows but by how well he uses what he knows. Standardized tests are designed to measure knowledge, but they won’t help a student once he enters the job market. In order to be innovative, he will need to know how to use that knowledge creatively. Base part of your teaching plan on practical application, and design your assessments around it as well. Cultivate a broader set of skills beyond core content knowledge. Focusing on skills doesn’t mean your classroom has to become a vocational school; it just means that having students memorize core content knowledge won’t help them get a job after college like it used to. Encourage design thinking. Design thinking is a structured approach to generating new ideas, and involves Discovering a Challenge, Interpreting the Context of the Challenge, Forming an Idea, Testing the Idea, and Developing a Solution. There are many great resources available for educators who are interested in design thinking, such as IDEO’s Design Thinking Toolkit for Educators. Use thinking tools. Hundreds of interesting, thought provoking tools exist for thinking through problems, sharing insights, finding solutions, and encouraging divergent solutions. Use Big Think tools or the Visible Thinking Routines developed at Harvard’s Project Zero. Help students expect to succeed. When students know that they can succeed at a task, whether it’s because they believe in themselves or because someone else does, they are more likely to actually succeed at the task. Help students believe they are good students and can tackle any challenge. Aim for “aha” moments every day. 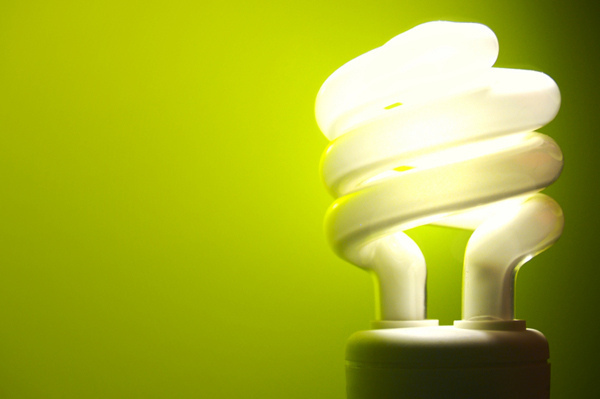 “Light bulb” moments of discovery help students gain understanding and confidence in learning. Help students make connections to the world beyond the classroom. Expose students to historical or current scenarios where innovative thinking helped solve real world problems. Lead a discussion – better yet, have students lead a discussion – on the thought processes that led to social change. Encourage trial and error. Students gain lasting self-confidence not by being protected from failure but by learning that they can survive it. Read more about the value of mistakes here. Cultivate an interdisciplinary mindset. Though specialized expertise is important, Google’s director of talent, Judy Gilbert, says that the most important thing educators can do to prepare students for work in companies like hers is to teach them that problems can never be understood or solved in the context of a single academic discipline. Have students read and write poetry. Perhaps more than any other literary genre, poetry necessitates innovative thinking. Assign them passages from a collection and ask them not what they liked or disliked but rather what they found surprising, confusing, or unusual. The original thinking they learn from poetry will serve them in other disciplines as well. Let students teach themselves with hands-on projects. At the most innovative schools, classes are “hands-on,” and students are creators, not mere consumers. Teaching students to apply what they have learned requires relinquishing a degree of teacher control, relying far less on textbooks, and encouraging students to take initiative and be responsible for their own learning. Form teams, not groups. Innovation now emerges from teams and networks – and we can teach students to work collectively and become better collective thinkers. Group work is common, but team work is rare. Some tips: Use specific methods to form teams; assess teamwork and work ethic; facilitate high quality interaction through protocols and critique; teach the cycle of revision; and expect students to reflect critically on both ongoing work and final products. Allow for mistakes. Innovation requires the willingness to fail. This is perhaps the most important habit to cultivate for teachers and students alike. Teach students to inspire each other. Innovation and entrepreneurship are often presented as sole efforts, but the most successful leaders are readily inspired and willing to collaborate. First thing, throw out workbooks. Look at the textbook and divide it into “manageable parts”. Check the “core” or “objectives” for the year and align the textbook with the objectives. Remember to plan for 3/4 of the school year, because the last 1/4 will be used to test. Use PROJECTS to teach the objectives. Students learn by DOING, not setting. It’s called journalism. How about empowering students to work on student media? Nearly every one of the suggestions could be met in a scholastic media course.